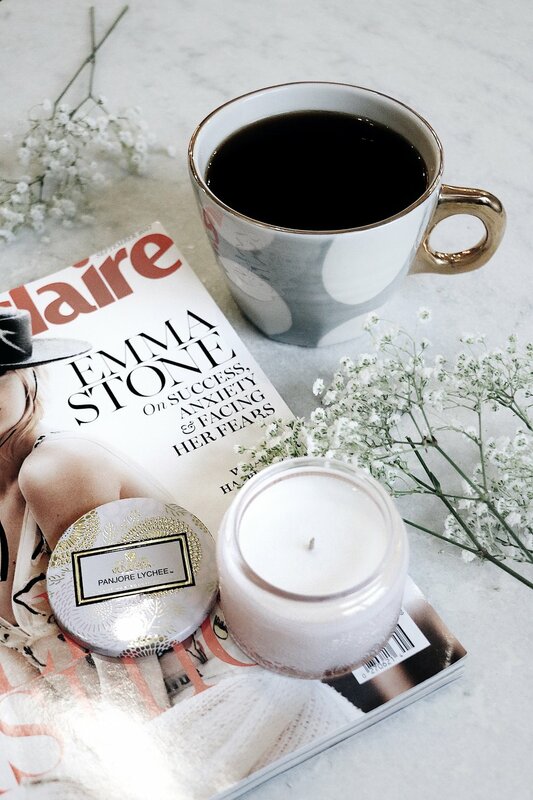 Voluspa Limited Edition Japonica Mini Candle in the Panjore Lychee scent from Anthropologie. 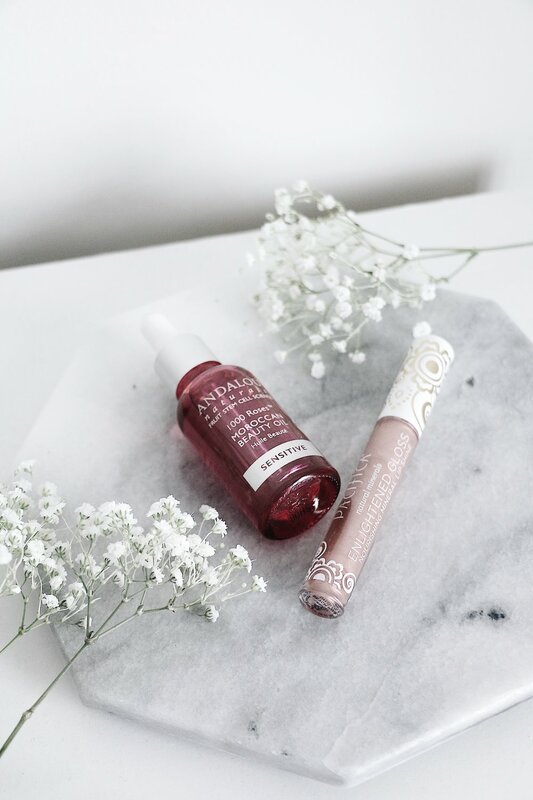 The Enlightened Gloss in "beach kiss" by Pacifica. Cinnamon Bun Loose Leaf Tea by Pinky Up. 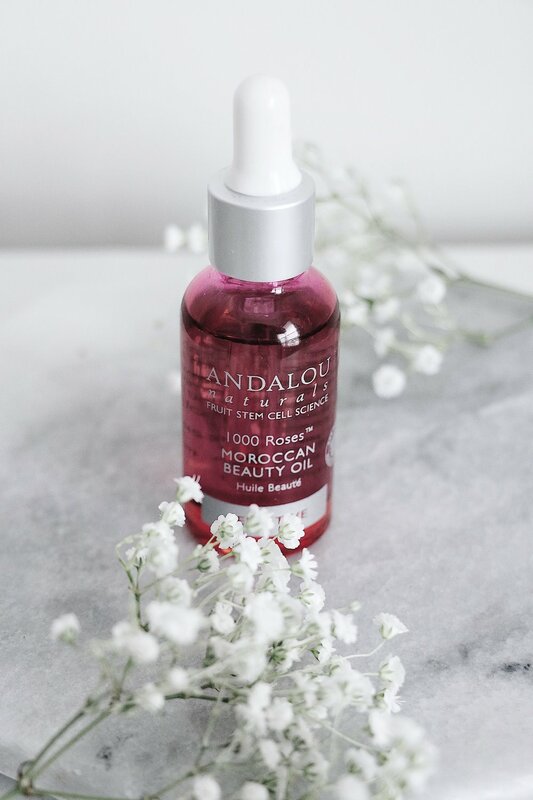 1000 Roses Moroccan Beauty Oil by Andalou Naturals. Yesteryear Mug in grey polka dot from Anthropologie. 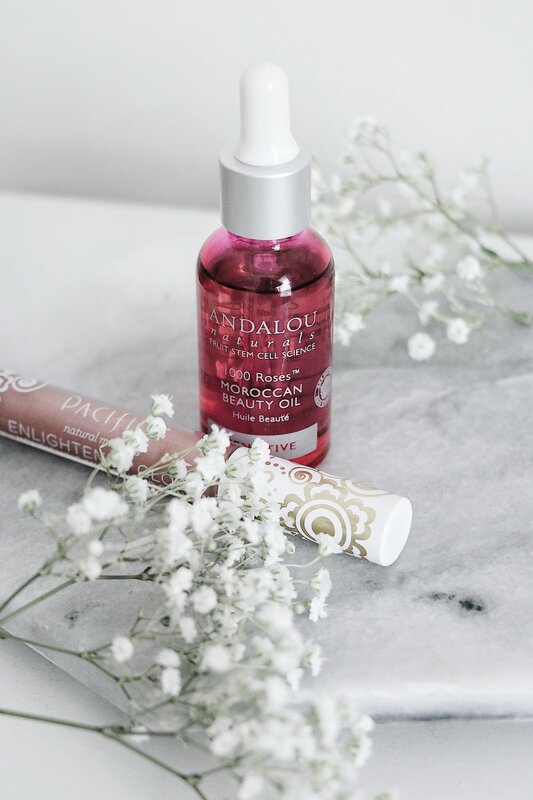 I hope you guys enjoyed seeing a snapshot of what products I'm using right now! Like I said before, I'm not an expert product reviewer, but I feel pretty confident that anyone would love these five things! If you end up getting any of them, let me know on Instagram or through the comments what you think! In other news, I'm doing a collaboration with one of my favorite boutiques in East Nashville, KITTY, very soon! So stay tuned!